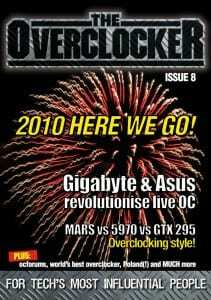 For the article on Overclockers Forums, check out pages 38-39. I highly recommend giving the whole publication a look. Everything is really well-written and informative. This is awesome! Read most of the rest of the magazine, too. Good stuff. What is Yatta? Yatta is a music video I ran across while clicking some links. I started out with a webcomic I like to visit (no, I won’t post a link. It’s a bad, evil comic), and took a link to another site (again, no link, it’s another bad, evil site. Worse than the first), where there was a link titled “Five naked dancing men , with wholesome family values.” With a title like that, who could resist? So, I used my high bandwidth connection to download and watched the movie. Somewhat in shock, I watched the movie again. Then I saved it to my hard drive. It had a firm hold on me. The music was catchy, and the dancing was pretty amusing. And I’ve always loved the Japanese. I’m an anime freak, and someday want to be able to speak Japanese, so I can watch untranslated anime. But this held my fascination in a way that no other music video had. Intrigued by the word “Yatta!” I began a search. It ended with a definition that has been posted a few times. Basically, it means, “I did it!” But since I don’t yet speak Japanese, I have no idea what they did. Being a senior, I get to post in the Blue Room. Since this video gripped me, I decided I should share this with the other seniors. And I did. I posted a link to the video directly, so they could skip the disturbing images I had to wade through to find it. The response was varied. But in the end, all seemed to be caught up in this new phenomenon. About a week after my initial post of Yatta, Reddeathdrinker thought I should be punished for what I had unleashed. Hence, the Avatar I wear. But I defied them. I wore the avatar with pride. Sure, it wasn’t my pretty lady Britney, but it was something fun, that I could be proud of. I started a new craze, and it’s effects would last for quite some time. I also changed my sig to match. In fact, Skip even got in on it, and put “Yatta” in his sig. It was then decided I should make some link to the video, perhaps under my homepage in the user control panel. But since I hadn’t been wearing my “Avatar o’ shame” for a whole week yet, we decided to hold off until the Monday after I started wearing my new Avatar. But by then the idea had evolved. We would make every mention of Yatta in our sigs as links to the video. And the Idea became an Institution. And thus we did. Some disguised the link better than others by changing the color. But it was there in quite a few sig. It was also decided that we’d let you question a while, and perhaps find a few links to the video, but not give you any more info about it, for about a week. But I decided it would be best not to wait a week. Sure, it was a good joke, but an inside joke only goes so far. So I decided to explain it now. And thus you have the whole story of Yatta. Just something humorous that caught the attention of the Seniors and Mods of this find message board, and we thought we’d have some fun with the regular members. Abuse of power? Yes, please! But it was all in fun, and I hope all have had some fun with it. So go forth now, and share with the world the joys of Yatta. Share it with friends and family. Share it with strangers. Post it on every message board you visit. Let’s see if we can’t make this the next internet craze. The next “All your base…” The next big thing, Jack! And apologies to those on dialup. But give it the time it needs to download. You’ll thank me for it later. Nope, it's an online magazine that was started a while ago. Decent read if you want something else to add to your plate. Yep, it's an e-magazine. They send it in a .pdf I believe. Free to subscribe, just sign up at their site. Random thought - This Yatta makes Hiro Nakimura's exclamations of "Yatta!" when he's excited on NBC's "Heros" that much more entertaining. I should subscribe. Who's articles are posted in there? They do their own work, like we do - they have a staff which is likely paid, and they focus on everyone across the overclocking community, ignoring forum/site boundaries for the most part. I believe they've brought on some popular names, like Massman. I'm not sure who else is associated that most people would recognize.